Nothing is more important in life than family. So when your marriage comes apart, it is critical to have a qualified lawyer advocating for all of the rights and protections afforded to you under the law in the Commonwealth of Massachusetts. Whether you live in Norwell, or somewhere else in the Commonwealth of Massachusetts, the well-established Law Office of Stephen M. Dodd can assist with your divorce or family law legal matter, with a personal touch. Regardless of what your specific set of circumstances is, and everyone's is unique, and no matter where live in the Norwell vicinty, lawyer Stephen M. Dodd is supremely capable of helping during this difficult and nerve-wracking time. With our compassionate and experienced legal savvy, we have the power and the resources to help. Our full-service family law office can be relied upon for guidance and reassurance. We can make a positive difference in the new beginning you are about to undertake. Whether you are looking to file for divorce from your spouse and you are a high net worth family, or you are an active member of the U.S. military and are stationed overseas, or you simply have some questions about family law that require competent answers, we are here to help. Parental abduction (when one parent leaves Massachusetts with a child without notifying the former spouse). Every client is treated with the same concern and compassion, as each client brings a special set of circumstances to our offices. No two family law cases are alike. Everyone has specific needs and questions when it comes to divorce or custody matters. We encourge you to schedule a complimentary meeting at which time we can begin to understand what you are facing and we can start to discuss an appropriate strategy. We will consider your situation carefully and analyze the very best options for you. 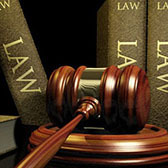 The goal of The Law Office of Stephen M. Dodd is to maintain an unblemished professional reputation. We have the experience, know-how, and track record to achieve the results you desire to move on past a bad or failed marriage. Concern, compassion, and commitment are the hallmarks of the service that is provided by our law office. We vow to dedicate ourselves to resolving your critical family law issues, stopping at nothing until the outcome you desire has been achieved. Whether through litigation, mediation, or collaborative law, we will never rest until you are satisfied, utilizing every available resource. We want to get through this difficult time in your life as quickly as possible, but not at the risk of sacrificing your happiness. The Law Office of Stephen M. Dodd takes into account your needs, both emotional and financial, in order to create a path for greater peace of mind in the future.